first time setting up RDS on Win2019 together with SolidCP. 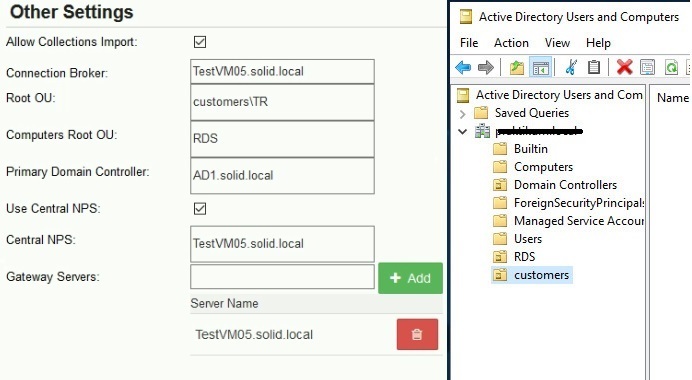 I watched the tutorial “How to setup Microsoft RDS” on the Manuals page but I’m unsure how to set up the part for the Root OU/Computer Root OU. What is this part about and how do I set it up correctly. Thank you in advance for looking into that matter.